Green stitching? Love it, like it or not so much? It's subtle, and I have to admit, I didn't notice it at first. But once I saw it, it became glaringly obvious. Like a beacon in the darkness. At first I liked it. Then I didn't like it. Now, I kind of think I might like it again. What in the heck am I talking about? 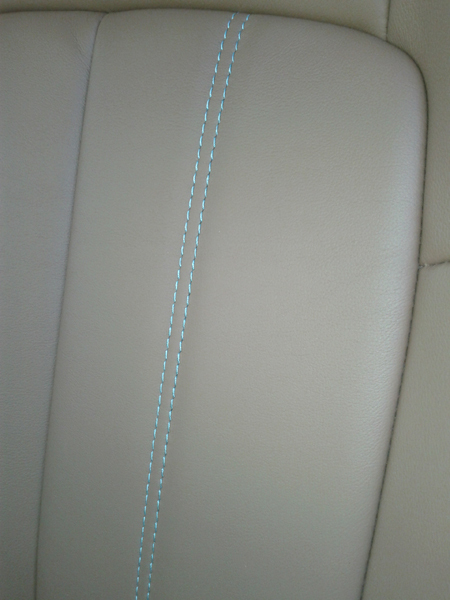 The greenish stitching on the all-new 2012 Buick Verano test car. It perfectly matches the back lighting on the gauges and center stack. Which is why I'm tempted to say I like it again. So, I figured I throw it out there to you all ... Love it? Like it? ... Or not so much? I dig it, even without reference to the backlighting. it's definitely different. i don't know that i've ever seen stitching other than white, black or red before!